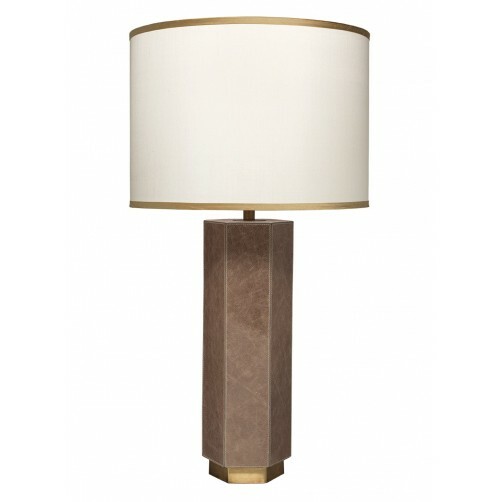 The Paloma Table Lamp is a simple hexagon base accented by textured taupe leather. 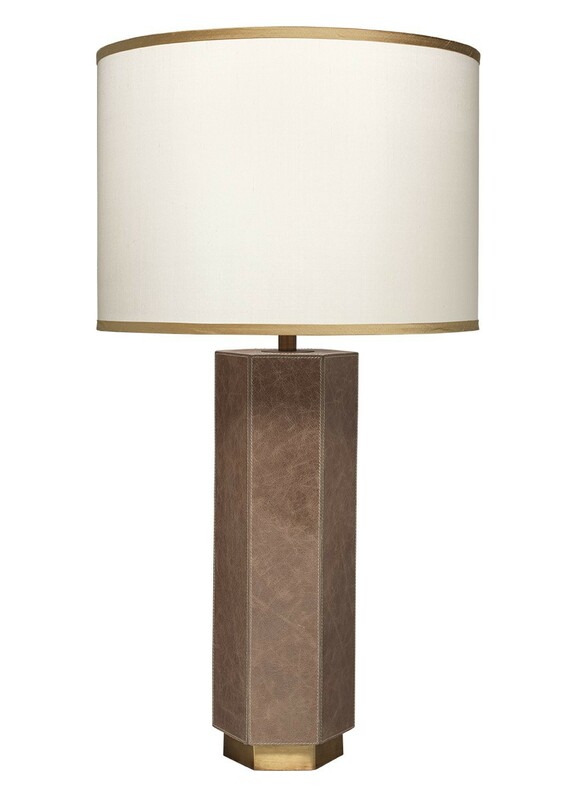 The lamp evokes a textural and rugged feel that will translate into any space beautifully. A simple drum shade in cream silk with golden beige silk trim compliments the antique brass and taupe leather base perfectly. Natural color variation will occur in leather.